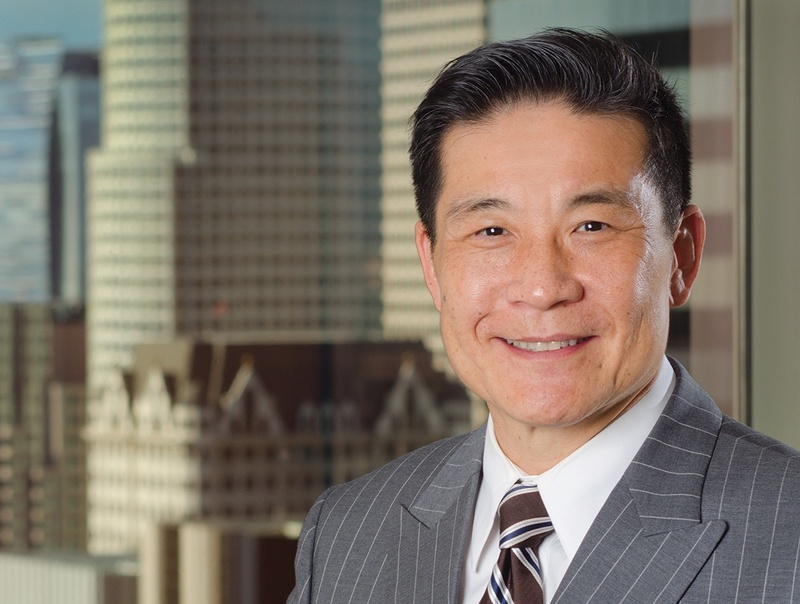 Tilden Kim specializes in representing public entities in public works and infrastructure matters. As counsel to numerous Public Works Departments, Tilden has broad experience helping public entities manage their bidding and construction process. A former Chair of RWG’s Litigation Department, he regularly represents RWG clients in the array of disputes that can arise from public projects. Tilden also is a member of RWG’s Water Rights and Water Law focus group. He has significant experience in groundwater management and related litigation, including recent adjudications in the Santa Maria Valley and Anza Valley. Presently, he is part of the RWG working group that is helping Nipomo Community Services District and Marina Coast Water District comply with statutory obligations under the Sustainable Groundwater Management Act. A key aspect of Tilden’s practice is his experience representing clients before California’s numerous administrative agencies. He has successfully represented clients before the Public Utilities Commission, Cal-OSHA and the Department of Industrial Relations. For example, Tilden has successfully prevented a major transmission line (Valley Rainbow) from bisecting the Temecula Valley Wine Country. Tilden is currently opposing the Riverside Transmission Reliability Project before the California Public Utilities Commission on behalf of the City of Jurupa Valley. Tilden also regularly works on water-rate cases for many of our public agencies. Tilden advises many of RW&G’s water-related clients, including but not limited to Nipomo Community Service District, Marina Coast Water District, State Water Contractors, San Bernardino Municipal Water District, and Beaumont Cherry Valley Water District. Tilden advises most of the RWG’s Public Works Departments, including the Cities of Agoura Hills, Beverly Hills, Buena Park, Fairfield, La Mirada, Mill Valley, Palmdale, Rancho Cucamonga, Seal Beach, Temecula, and Westlake Village. Tilden regularly works with Public Works staff in establishing a sufficient record for finding bidders to be nonresponsive when they fail to submit a proper bid, thereby minimizing the potential for a lawsuit with a disgruntled bidder. Tilden also works with Public Works staff on payment, performance, and warranty bond issues, and has successfully prosecuted several multi-million dollar recoveries against performance bond sureties and general contractors. Tilden successfully extricates many public entity clients from mechanics liens and other contractor/subcontractor disputes in an economical manner. Barratt American, Inc. v. City of Rancho Cucamonga, 37 Cal. 4th 685 (2005). Tilden successfully represented the City of Rancho Cucamonga in a challenge under the Mitigation Fee Act to the city’s building permit fee structure. In Barratt, a real estate developer filed petition for writ of mandate and complaint against the City of Rancho Cucamonga, challenging fees for building permits and plan reviews. Tilden represented the City before the Supreme Court, where it held that: (1) Fees developer paid were not “development project fees” subject to Mitigation Fee Act's individual refund remedy and limitations period; (2) Permit and plan review fees were not “special taxes” subject to penalty or offset under Proposition 62; (3) The City was not required to conduct annual financial audit of revenues received from fees; and (4) Mandamus was not available remedy for city's alleged failure to comply with statutory duty to review and adjust fees. City of Santa Maria v. Adam, 211 Cal.App.4th 266 (2012); City of Santa Maria v. Adam, 248 Cal.App.4th 504 (2016). Tilden represented the Nipomo Community Services District, establishing important precedent that landowner demands for “quiet title” and quantification of future potential prescriptive rights cannot be done without an “overdraft” determination, and a basin-wide quantification of production by overlyers and other pumpers. Gonzales v. City of Norwalk, 17 Cal.App.5th 1295 (2017), reh’g denied, review denied (3/14/18). Proposition 218 class action suit challenging the City’s utility user’s tax (UUT) on cell phone service. After successive challenges to the pleadings, the trial court sustained the City’s demurrer without leave to amend. In affirming, the court of appeal held that a 2007 ordinance - adopted by the City to clarify its UUT following an IRS notice interpreting provisions of the federal tax code - made a technical change to the City’s municipal code. However, it did not “impose, extend or increase” the UUT and therefore, it did not violate Proposition 218 or Proposition 62 as a matter of law. The California Supreme Court denied review. This is an important decision for California cities and sets a precedent for addressing similar “copy cat” suits now pending in various trial courts around the state.